The season of gift giving is almost upon us. The holidays are a time for family and friends to get together and enjoy each others company. 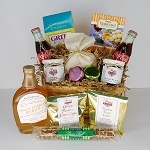 There is no better way to show your appreciation than giving a gift such as a gift basket or gourmet dessert. At GifProse.com we have a wide selection to choose from to fulfill all your needs. 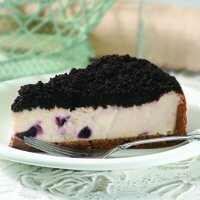 According to John Segreto's book, Cheesecake Madness, cheesecake has the roots of its origins in ancient Greece, food of the Olympians. Over the centuries it has changed from an energy food to a gourmet dessert. With Valentine's Day just around the corner, we've collected our top five favorite Valentine's Gift Baskets, all at a variety of prices and brands included. Valentine's Day can be the most stressful day of the year for some. Trying to find the perfect gift for your loved one is quite the task. Let GiftProse make it easy for you! We have a plethora of baskets with a large variety of different sweets, treats, and even sugar free options. Here is our top five favorite baskets for this holiday celebrating love. For the vast majority of people, buying a house is arguably the largest and most significant purchase we will ever make. Many people never get the chance to buy a home, and the rest of us will likely only do it once or twice in our lifetime. So, to call home buying a life-changing experience is perhaps stating the obvious, and this sort of life-changing event is always just cause for a celebration. This is why our ancestors created the phenomenon known as the Housewarming Party. The perfect Mother's Day and Father's Day gifts are gifts with sentiment. And, finding the right gifts for your father and mother can be simple if you know how to go about it. Summer is fast approaching, and with it come the many birthday, holiday, and everyday occasions that call for a thoughtful gift. Here are some summer themed gift ideas for this year’s warmer season. Personalized and custom gift baskets are always a hit for any occasion. With Spring around the corner after St. Patrick’s Day, then onto Easter and Mother’s Day, there are a number of ways you can express your love, compassion and/or sociality this season with a custom gift basket. In addition, gift baskets are wonderful ways to express admiration to those you work with by sharing such a treat. For showers, weddings, social events, or holidays, the gift basket provides the atmosphere with positive feelings and a sense of togetherness for the occasion. Gift baskets are also venerated gifts for those in need of empathy and sympathy, from a recent loss or suffering from an illness. The most successful and inspiring relationships are among couples and families who speak all the five languages of love: Quality time, words of affirmation, giving and receiving gifts, acts of service, and physical touch. So if you feel you are not 'fluent' in one, maybe you can compensate with another until you are comfortable to move on to another ‘language. It's also important to learn how the other person speaks their language of love so you can talk to them in that language for complete understanding. Calling all men! It’s that time of year to really impress upon that special lady in your life just how much she means to you and just how much you appreciate her. For children and adults alike, Christmas means stacks of gifts exchanged with family and friends. Undoubtedly, gift-giving has become a very deeply rooted tradition that we all associate with the birth of Christ – a gift of hope and salvation – yet its history, and that of Christmas, is actually more of a combination of pagan beliefs and traditions and the early church’s decisions to incorporate themes from non-Christian sources. Do you have loved one who is ill or injured? If so, Gift Prose has the perfect gift with sentiment for you to give. With more than 50 get well baskets and boxes available, Gift Prose is your one-stop online shop for get well and holiday gifts. 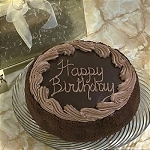 GiftProse has a wide variety of gifts with sentiment for all occasions. Two of the occasions that we have many sentimental gift baskets and other gifts for are birthdays and times when sympathy is needed. A romantic wine tour would be the ultimate Christmas gift! But alas, how many of us can go to the vineyards of Bordeaux or Tuscany or Castile-Leon on short notice to sample wines at their cellar doors? Short of going to Napa in California or Willamette Valley in Oregon, what we can do is order online and have them delivered right to our doorsteps, or in the spirit of giving this Christmas, order a wine basket and have them delivered to deserving people in your life. So you and your gift recipients appreciate the wines better, here’s a short guide on which food goes best with which wine. Friendship is one of the most important relationship people can share. A true friend is a commodity that few people can live without. Friends are there for one another to offer support in times of need, to tell their deepest, darkest secrets to. They are the encouragement and support needed to get through stressful times. Friends share their hopes and dreams, their broken hearts and despair. They cheer each other on, laugh at stupid jokes, and take care of one another. If your loved ones are coffee fanatics and you don't know what present to get them, the answer's lying right under your nose! You can grab something that has something to do with their love and passion for coffee. After all, there are plenty of people who adore this soothing, fascinating beverage. Hence, there's also a whole range of gift ideas you can contemplate on! Below are 6 wonderful gift ideas for coffee lovers that are bound to make their hearts beat faster, even without the caffeine! Green tea and gift baskets containing green tea are great gifts. Green tea tastes great and is exceedingly healthy. Give green tea as a gift and show that you care. If you have ever had someone go out of the way for you, someone who has gone above and beyond the call of friendship, then you know that a simple “thank you” doesn’t always cover it. Every once in a while, someone special does or says something unexpected when you need it the most and your gratitude overwhelms you. No matter what the economy does, expanding or receding, any new job is usually worth celebrating. Why? Because it is a sign of growing success - most new jobs involve a promotion, a raise in pay, benefits, or in some cases, just having a secure job after a period of time being un- or under-employed, can be a sign of professional growth. Gift baskets make great gifts because they give the recipient a variety of top-quality goods that they want, need, or, preferably, both. However, this does not mean that every gift basket is the perfect gift for all people in celebration of all occasions. Prose and poetry are pretty distinct forms of writing. One is done in a paragraph form, while the other has rhythm and meter and some rhyme. While the general public impression of gift baskets is that they are a modern and unique way to give presents to others, gift baskets have been around a long time. When you think about gift baskets, you probably think of them as suitable for adults. Many gift baskets include items that adults like, such as wine, cheese or coffee. However, gift baskets can be just as varied as the recipients and the occasion for which you give them. If you do not know what to buy for the wine lover on your gift list, consider a wine basket. During the holidays, most people enjoy sharing wine with guests, which makes a wine basket a fun and practical present. Wine baskets are also a hit on birthdays and anniversaries.